Going partially off the grid is a smart alternative for homes who want to become completely energy self-sufficient. 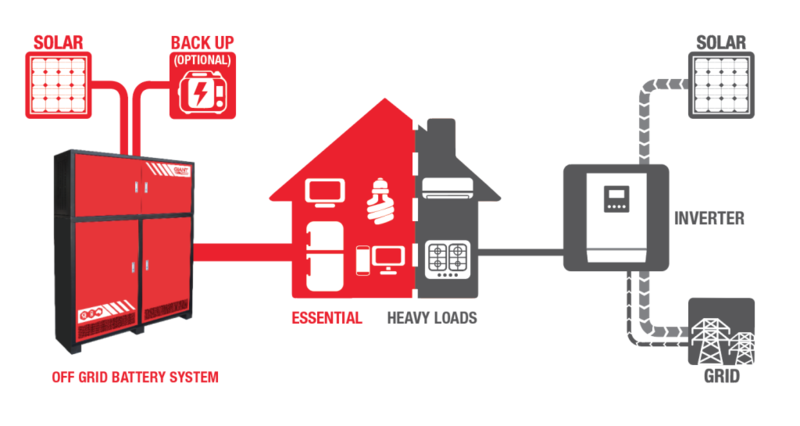 A partial off-grid solar system is one that runs a few essential electrical loads – for example, the refrigerator, lights and television – on a separate electrical circuit that has no physical connection to the grid mains. The rest of the devices in the home run using grid power and/or a grid-connect solar system. Plenty of Australian homeowners dream about going off the grid with solar panels and home battery storage. But for the average, grid-connected Aussie home – which consumes between 20 and 30 kilowatt-hours (kWh) of energy per day – installing a system large enough to keep the lights (and everything else) on throughout the year just isn’t worth it. If they rely solely on solar and batteries, such a home would need enough capacity to carry them through 3-4 days of gloomy weather. Right away, this is a significant financial commitment, especially when compared to the relative affordability of grid-connected solar systems, whose prices sit at historic lows in Australia. Besides the up-front cost, one of the main hurdles on the path to getting off the grid is reducing energy consumption in the first place; in order to avoid unnecessary expenditures on system capacity, the home should work on getting its consumption levels as low as possible. This will be a significant hurdle to those who are not completely dedicated to the off-grid endeavour: the occupants of a home have their habits (which can be hard to change), and there’s only so far a home may be willing to go (because of budgetary or other restraints) to replace all their inefficient devices with efficient ones. As a result, it can be difficult for a home to reduce its energy consumption dramatically without causing inconvenience or discomfort for at least one of the occupants (e.g. the one who keeps the electric hot water heater on its toes with their marathon showers). Another hurdle is occasional usage spikes – when multiple devices (vacuum, washing machine, dishwasher) are all turned on at once. While the grid can handle such events with ease, a home relying on batteries and solar could quite easily trip the switch unless the system has been specifically designed for these occasions (which a good system should be). So in summary, for those who just want to go about their daily lives without thinking too much about how they are using energy throughout the day, completely disconnecting from the grid may not be particularly appealing. Installing a partial off-grid system might be a good option instead. For most homes, electricity usage patterns for certain things is completely regular and predictable. Refrigerators, lighting and chargers for smartphones & laptops, for example, all consume minimal amounts of electricity at a given time, making them ‘low risk’ devices to target for removal from a grid-connected electricity circuit. Imagine if you could use them 24/7 knowing that they’re running on your home-grown solar energy – making you largely independent of the grid, but also resting comfortably with grid access whenever you need it for the rest of your home. This is the promise of a partial off-grid solar system. 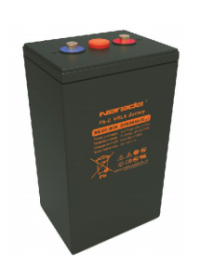 Interested in solar and/or batteries? Request a Solar and Battery Storage Quote Comparison. Solar Choice can help you compare prices & products and put you in touch with installers who can answer your questions. the most power usage we have used is 6kwh per day, service fee is more than power bill. trying to decide to go off grid or partially so.also we are at the end of power lines and we have the power drop out often. also ergon is power supplier and they pay virtually nothing for solar feed into grid.we are in s/e qld. Thanks for the comment. 6kWh/day is very low usage, indeed. That makes you a prime candidate for going off the grid, but keep in mind that one of the key considerations with regard to going off grid is that you will not be able to fall back on the grid in the event that your system goes down (for whatever reason). Given your situation, I’d advise that a partial off-grid system (as described in the article above) is probably not what you’re after, but instead a full-fledged off-grid system. As long as you have a grid connection, you will need to pay the daily supply charges – even if you draw nothing from the grid on a daily basis. I have just under 6kw solar panels, my highest kw usage a day was 12.9kw I was wondering about going partial off the grid instead of full on the grid. Can I do this? & how much would it cost. I live in Gladstone. Who would be the best one to go though for installing batteries. You can install storage so that the excess energy normally sent to the grid would be stored for your own consumption in the evening hours. Previous post: What if the QLD government offered battery incentives in the form of a (voluntary) feed-in tariff buyout?